The African e-learning market is witnessing massive growth, spurred by public-private partnerships. eLearnAfrica and the Association of African Universities (AAU) have entered into a partnership to provide eLearnAfrica's services to AAU member universities. This agreement will help African universities take advantage of the tools and delivery platform of the eLearnAfrica portal and mobile application for expanding educational opportunities. The organisations say the partnership aims to benefit about 10 million students on the continent. According to a recent report by Ambient Insights, the African e-learning market is witnessing massive growth, spurred by public-private partnerships. It points out Africa's e-learning market has doubled from 2011 to 2016, reaching $513 million. 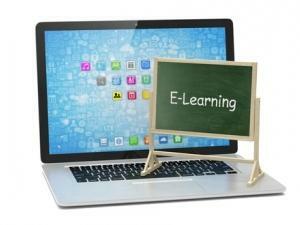 SA is Africa's largest e-learning market, followed by Angola, Nigeria and Tunisia. AAU is Africa's largest higher education co-ordinating body. It comprises 380 universities in 46 African countries. The agreement will enable universities to expand their reach by providing online, distance-learning opportunities to students everywhere, especially rural areas, which can access the tools with the mobile application. Students throughout Africa face considerable difficulties in achieving a university degree, says eLearnAfrica. It notes high costs, competition for limited spaces, and the long distances that must be travelled are common reasons why students abandon their education. Only 6% of young people in sub-Saharan Africa are enrolled in higher education institutions compared to the global average of 26%, it adds. The partnership will permit the AAU to support its member universities in the development and deployment of online learning resources. AAU member universities will be able to participate in Africa's largest resource for online courses and degree programmes. The eLearnAfrica platform will allow member universities to use the eLearnAfrica Learning Management System by taking advantage of user-friendly technologies to support the didactic and administrative functions of the universities. Currently, eLearnAfrica has over 1 000 courses from top-ranked universities through partnerships with edX and FutureLearn, including Harvard, MIT, and Cambridge, as well as professional development courses in 175 high-demand vocational and career paths like networking, software development, and business administration. "The AAU continues to support its member universities to improve the quality of the education that they deliver to students," says Prof Etienne Ehouan Ehile, secretary-general of the AAU. "As an association, challenges of limited access to quality higher education continue to haunt us. Therefore, building capacities of African universities to be innovative in their teaching and learning methods for increased access to quality higher education is top priority for the AAU. This partnership with eLearnAfrica will help us achieve this goal." "We are excited that the AAU has chosen eLearnAfrica to support the important work of its member universities," says Brook Negussie, CEO of eLearnAfrica. "The AAU is the most important higher education co-ordinating body; we are looking forward to developing and delivering content with the member universities throughout Africa." Negussie notes the advantage for African universities and students are quite clear. "Online degrees are a great way for universities to extend and diversify their academic reach in a sustainable and scalable manner. We hope to significantly increase the number of students earning degrees in the next few years by literally putting in the palms of their hands the tools they need to succeed." ICT veteran Adrian Schofield points out e-learning provides access to quality material delivered at a consistent standard, and the reduced cost of books that need to be replaced. Nonetheless, he says African governments as a whole are not investing sufficiently in e-learning, but need to implement infrastructure for delivery of e-learning first. Lack of affordable access is hindering widespread adoption, he adds. Moira de Roche, independent learning specialist and director of the Institute of IT Professionals SA, says e-learning is the great leveller. "Quality e-learning is accessible to anyone, anywhere, if they have connectivity. Learning can be completed at any time, at a learner's own pace. Transference of skills to the job are proven to be better than with classroom training, especially for training on digital skills - probably because you can try out what you learn immediately," she says. However, she notes a general lack of understanding of e-learning is hindering the widespread adoption in Africa. "Putting presentations, videos and documents online might be online learning, but e-learning is a rich, engaging, interactive learning experience. The instructional design strategy is different than for instructor-led, classroom-based training. There is not enough appreciation of the many benefits of investing in good e-learning. I think that the lobby for traditional methods is strong, because teachers and lecturers are threatened by the idea. They shouldn't be - they just have to change the way they do things."